Privet (Ligustrum sinense and other species) was imported to North America long ago for use in home landscapes as a hedge plant. It is originally from Asia. 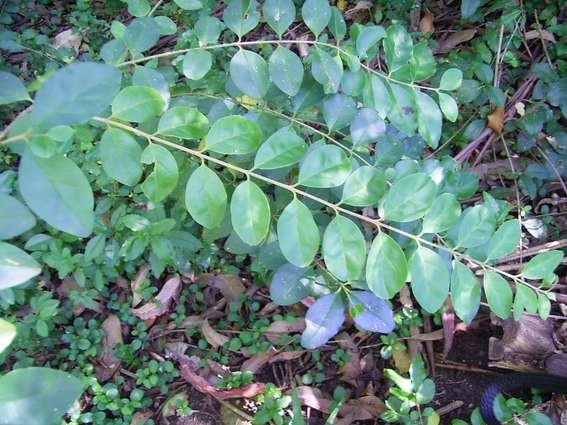 Unfortunately, privet escaped into natural areas where it now exhibits the characteristics of an exotic, invasive species, i.e., it is a non-native plant which tends to overtake native ecosystems, causing environmental and sometimes economic harm. Much of the forested urban Wolf River corridor has an understory dominated by this plant which stays green all winter, shading out native plants and young trees and creating adverse conditions for wildlife dependent on them. The insects and competing species which keep privet in check in Asia are not present here, so the only available control for privet in this area is active management by people.